The journal, American Studies, places SKR in the context of broader American culture. A review by Tamar Havilo, a professor of cantorial studies at HUC in Jerusalem. R. Daniel Eidensohn, a prominent Haredi blogger who has been active combating sexual abuse in the Haredi community, called Strictly Kosher Reading "required reading by any chareidi Jew who wants to understand the relationship between Torah and general culture." A long and thorough review of SKR in Me'orot,the Journal of Yeshivat Chovevei Torah (which also includes another segment in the ongoing discussion of Yoram Hazony's analysis of Rav Soloveitchik's thought). The author, Rose Waldman, is herself an interesting woman, part of the Brooklyn Satmar community who also studies and teaches at Columbia and writes for YCT. Provides her with an interesting angle on the book, as you might imagine. This has to be the most thought-provoking review that has yet been published, and I'm happy to see what issues get raised from cross-discipline conversations. Professor of Victorian literature, Miriam Burstein, has posted a review on her blog, The Little Professor. 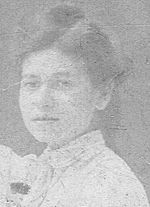 She asks some fascinating questions that would not have come up with in the little world of "Harediology." If you are not familiar with the fantastic collection of academic listserv's, H-net, you should check it out. It is a great source of collaboration and ideas. Their Jewish studies list, H-Judaic, just published a very positive review of SKR. Feel free to download the table of contents, front matter, and preface of Strictly Kosher Reading (minus a copyrighted illustration). You can email me at yoel.finkelman@gmail.com for information on how to purchase a discount copy. For centuries, fervently observant Jewish communities have produced thousands of works of Jewish law, thought, and spirituality. But in recent decades, the literature of America's Haredi [ultra-Orthodox] community has taken on brand-new forms: self-help books, cookbooks, monthly magazines, parenting guides, biographies, picture books, even adventure stories and spy novels -- all produced by Haredi men and women, for the Haredi reader. What's changed? Why did these works appear, and what do they mean to the community that produces and consumes them? How has the Haredi world, as it seeks fidelity to unchanging tradition, so radically changed what it writes and what it reads? In answering these questions, Strictly Kosher Reading points to a central paradox in contemporary Haredi life. Haredi Jewry sets itself apart, claiming to reject modern secular culture as dangerous and as threatening to everything Torah stands for. But in practice, Haredi popular literature reveals a community thoroughly embedded in contemporary values. Popular literature plays a critical role in helping Haredi Jews to understand themselves as different, even as it shows them to be very much the same. I am a lecturer in the Interdisciplinary Graduate Program in Contemporary Jewry at Bar-Ilan University, as well as a teacher of Torah, mostly to adult women in Jerusalem. I live in Beit Shemesh with my wife and five children. 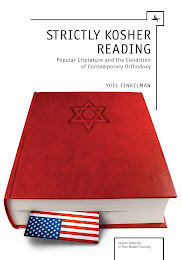 My book, Strictly Kosher Reading: Popular Literature and the Condition of Contemporary Orthodoxy, appeared in 2011 from Academic Studies Press.